The best editor helps you easily edit M4A foramt video with advanced features. Since 2007, Apple has sold their audio files on iTunes as M4A files. M4A is a high quality audio file compatible with all Apple products and software. Unfortunately, considering the audio file is relatively new and designed to work only on Apple software, most audio editors have difficulty importing the file type. There are few audio editor programs, for professional or personal use, that support the file and do so well. Despite this, it is still possible to find free audio editors that supports M4A. However, you must be careful to edit only non-copyright protected audio files. Most of these programs do not support copyrighted M4A files. That means no editing of an audio file you downloaded from the iTunes store. If you avoid copyrighted materials, these five free audio editors that allow you to edit your M4A files with little to no trouble. Wondershare Filmora is a shockingly advanced free M4A compatible audio editing software. You can record audio from various sources with ease. Once you import your M4A file, you can delete, cut, copy, mix, and paste different sections of the M4A file or combine the edited file with another imported M4A file. You can also create DVDs out of the file format. 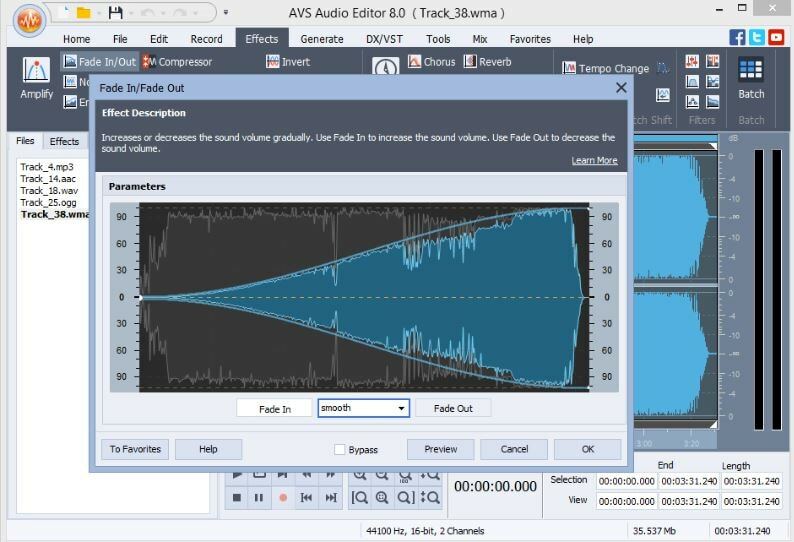 AVS Audio Editor is an advanced free M4A compatible editing software. You can edit and save files in M4A format, which is an uncommon feature. Many programs that can edit M4A files cannot save the edited files in the same format, so AVS Audio is welcome change to the market. You also can make your audio file unique to you with 20 different effects and filters within the program. On top of all this, within the software, you can record audio in the M4A format. Cons: there will be a voice logo which will pop-up every 10 seconds in the free version. Wavepad is a simple audio editor from Australia’s NCH Software. 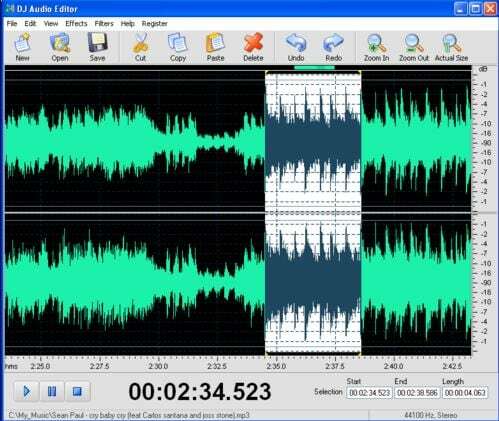 This free desktop software supports the editing and conversion of M4A audio file formats. To edit a file, import the file into the program. You can then select sections to delete, copy, or cut. You can also add audio effects to all of or part of the audio file. Examples of the effects available on Wavepad include echo, reverberation, and normalization. You also can convert from and to M4A with this program. The “to and fro” conversion will be especially useful to you if you need to convert your files to an iTunes friendly format. Keep in mind that this audio editor only is free for non-commercial use. If you want to use this editor for professional or money-earning purposes, upgrade to the paid Master version of the software. 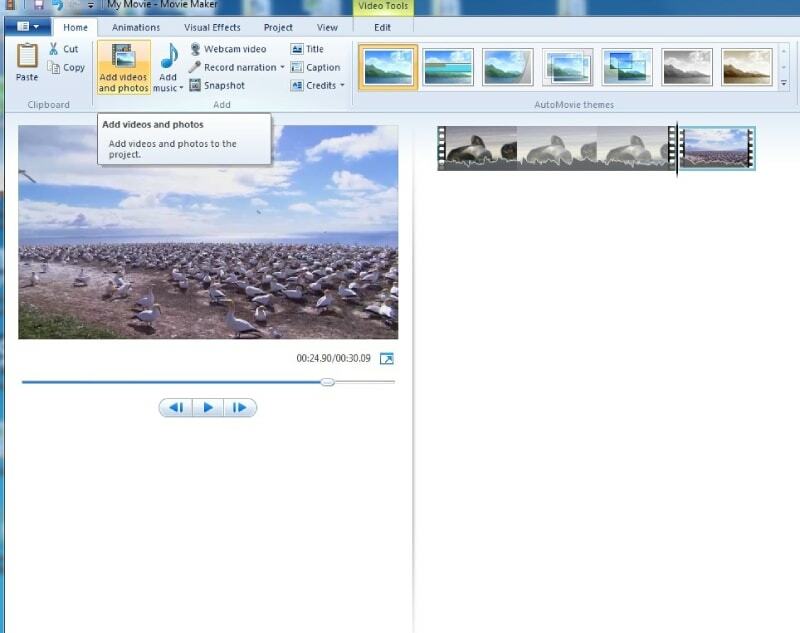 Since its 2011 edition, Windows Movie Maker (WMM) has touted free audio editing features. You can edit a variety of audio file formats, including M4A. When you import a M4A file into Windows Movie Maker, the audio file will appear in the audio/music section of the timeline. From there, you edit the m4a file in the same manner you would edit a video on WMM. You can split, combine, and remove sections of the audio. There are two downsides of using WMM to edit your M4A files. One downside is that WMM will always output the audio file as a WMA. That being said, WMA files are compatible with most audio playing formats and can easily be converted into another type of audio file, so there’s no need to fret. The second downside is that the audio editing feature, just as the program’s video editing capabilities, is limited. Not much can be done to increase the loudness or clarity of an audio file. To increase the clarity or loudness of your M4A file, you will need to utilize another audio editor. DJ Audio Editor is a professional-grade free M4A compatible editing software. Import the MP4 file and enjoy the editing process. As with most of the other audio editors on this list, you can apply filters and effects to parts of or all of your file. What makes this audio editor different is the addition of an audio properties editor. You can edit the metadata of each audio file, adding titles, artists, and other pieces of information. DJ Audio Editor is a free product that has a paid version. However, users who take advantage of the free software have most of the benefits paid users have. DJ Audio, despite its various amounts of features, will take up little space on your desktop. The same software company that offers this editing software also offers several other video and audio programs. These programs are also “freenium,” meaning they are free in their most basic form. Working with M4A files does not doom you to paying hundreds of dollars to get a compatible audio editor. Check out the free editors above and see which one is the best for you. Yeah, Mark is totally right. You guys need to remove that AVS piece of crap software as "one of the best" free editors. That ridiculous voice logo is completely absurd. I mean, I can understand them giving a blurb at the beginning to give credit for the program. But every 10 seconds? Are you kidding me?? Makes the program a piece of garbage. I can't believe you guys are recommending it. It's awful! I tried AVS next, but it adds a voice logo to the song every 10 seconds, saying 'AVS media demo', nobody wants that in their music collection. I tried Filmora and Windows Movie Maker, but these are clumsy to edit audio, because they are clearly meant to edit movies. Luckily WavePad works just fine for me. I tried the DJ Audio Editor, but unfortunately the free version only saves the first minute. So your claim that the free version has most of the benefits of the paid version is not true.